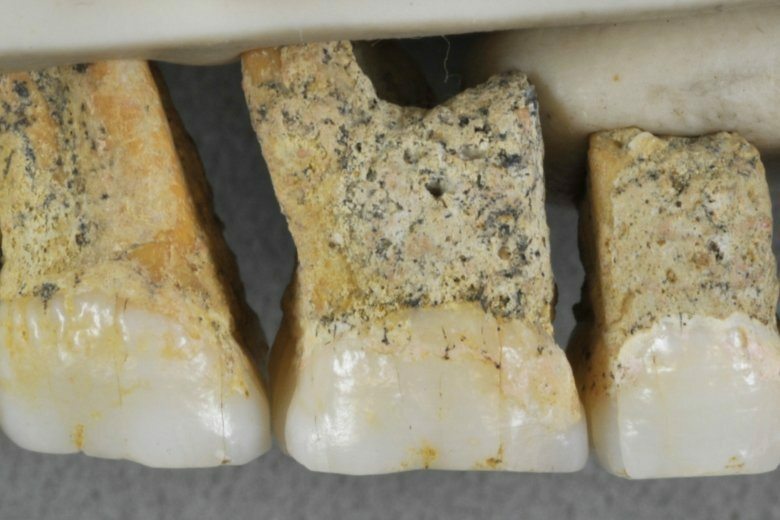 NEW YORK (AP) — Fossil bones and teeth found in the Philippines have revealed a long-lost cousin of modern people, which evidently lived around the time our own species was spreading from Africa to occupy the rest of the world. It’s yet another reminder that, although Homo sapiens is now the only surviving member of our branch of the evolutionary tree, we’ve had company for most of our existence. And it makes our understanding of human evolution in Asia “messier, more complicated and whole lot more interesting,” says one expert, Matthew Tocheri of Lakehead University in Thunder Bay, Ontario. In a study released Wednesday by the journal Nature, scientists describe a cache of seven teeth and six bones from the feet, hands and thigh of at least three individuals. They were recovered from Callao Cave on the island of Luzon in the northern Philippines in 2007, 2011 and 2015. Tests on two samples show minimum ages of 50,000 years and 67,000 years. The main exodus of our own species from Africa that all of today’s non-African people are descended from took place around 60,000 years ago. Analysis of the bones from Luzon led the study authors to conclude they belonged to a previously unknown member of our “Homo” branch of the family tree. One of the toe bones and the overall pattern of tooth shapes and sizes differ from what’s been seen before in the Homo family, the researchers said. They dubbed the creature Homo luzonensis. It apparently used stone tools and its small teeth suggest it might have been rather small-bodied, said one of the study authors, Florent Detroit of the National Museum of Natural History in Paris. H. luzonensis lived in eastern Asia at around the same time as not only our species but other members of the Homo branch, including Neanderthals, their little-understood Siberian cousins the Denisovans, and the diminutive “hobbits” of the island of Flores in Indonesia. There’s no sign that H. luzonensis encountered any other member of the Homo group, Detroit said in an email. Our species isn’t known to have reached the Philippines until thousands of years after the age of the bones, he said. But some human relative was on Luzon more than 700,000 years ago, as indicated by the presence of stone tools and a butchered rhino dating to that time, he said. It might have been the newfound species or an ancestor of it, he said in an email. Detroit said it’s not clear how H. luzonensis is related to other species of Homo. He speculated that it might have descended from an earlier human relative, Homo erectus, that somehow crossed the sea to Luzon. H. erectus is generally considered the first Homo species to have expanded beyond Africa, and it plays a prominent role in the conventional wisdom about evolution outside that continent. Some scientists have suggested that the hobbits on the Indonesian island are descended from H. erectus. Tocheri, who did not participate it the new report, agreed that both H. luzonensis and the hobbits may have descended from H. erectus. But he said the Philippines discovery gives new credence to an alternate view: Maybe some unknown creature other than H. erectus also slipped out of Africa and into Europe and Asia, and later gave rise to both island species. After all, he said in an interview, remains of the hobbits and H. luzonensis show a mix of primitive and more modern traits that differ from what’s seen in H. erectus. They look more like what one what might find in Africa 1.5 to 2.5 million years ago, and which might have been carried out of that continent by the mystery species, he said. The discovery of a new human relative on Luzon might be “smoke from a much, much bigger fire,” he said. More such discoveries will probably emerge with further work in the region, which is under-studied, he said in an email.